You may have read this post last year but when I saw the date, I couldn’t resist the chance to republish! I couldn’t miss the opportunity to wish you ‘Happy National Croissant Day’! January 30th is International Croissant Day. This is a new celebration for me. One which comes from the States, apparently. Although, to be honest, I’m more than happy to celebrate croissants every day. Especially if they happen to be almond croissants! The croissant was originally created in Austria. The shape is based on a crescent moon which features on the Turkish flag. Why? Travel back to 1683 when the Ottoman Empire laid siege to Austria. The Turks decided to tunnel beneath the city walls.The Viennese bakers who were working in the basement, heard the sound of digging and alerted the army who defeated the Turks. In celebration, they baked their bread in the shape of a crescent moon—the symbol of the Ottoman Empire – and created the Kipferl. This croissant arrived in France in 1770. Marie Antoinette, who was Austrian, was feeling homesick. The French bakers decided to make her favourite pastry which became known as the “croissant”. Of course, it’s difficult to know exactly how much of this is fact and how much is fiction! Are you a croissant lover? Do you have a favourite croissant? Savoury, perhaps? Or are you a purist who prefers a classic, butter croissant? Are you a dunker? I’m definitely not! I must confess that there was a time when I was rather dismissive of Reading; apologies to anyone who lives there or originates from the town. The only part of Reading I really knew was the train station. I would pass through on the way to the West Country or up North, often for work. Then two events meant that I got to know Reading a lot better. Firstly, my eldest son moved there for work and secondly, our first TrustedHousesitters assignment was in Reading. There is much more to Reading than first meets the eye. There are some fabulous walks. There is a great deal of history. There is the University. There is the River and the Canal. There are a wide range of cafés and restaurants. There are shops. In fact I think I will do another post about Reading when I have some decent photos! The only photos I do have, feature the two dogs we looked after in Reading! They were very young when we first looked after them. These photos were taken during a walk alongside the Thames. Our night in Reading was to celebrate the birthdays of our eldest son and his girlfriend. They happen to share the same birthday, although not the same year. Mr FF also has a special birthday later this month, so it was celebrations all round! Youngest son joined us as well for a very special visit to ‘L’ Ortolan’. L’Ortolan is the only Michelin restaurant in the Reading area and we decided to have the seven course tasting menu. This was a new experience for all of us. I don’t think the photos really do the food justice. My favourite dishes were the hake, the venison and the divine desert! The restaurant is in a former vicarage in Shinfield which is actually just outside Reading. The service was everything I hoped it would be and more. However, I must confess that I am not a fan of foams and gels. I do find them – dare I say – a bit pretentious or maybe that says more about me! I also think we have been spoilt by the amazing food we have been enjoying in France, at both ends of the scale. 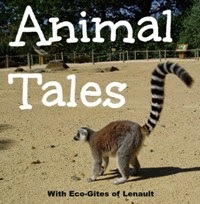 … was my immediate reaction when a promotion for this book, by Mylène Desclaux, caught my attention. I decided to find out some more. Through the power of the internet, it is now possible to dip inside a book and read a sample before you buy! There has also been a fairly widespread reaction to the book across the media; articles, reviews etc which I have been reading with some interest, cynicism and amusement, depending on who has written them. However, I must confess that I haven’t read the whole book and it’s unlikely that I will. In the last few years, we have been told that ‘French women don’t get fat’ and ‘French women don’t get facelifts’ and that’s just for starters. WHAT? I am very proud and glad to be sixty-five. I know (knew) people who are no longer with us and would give anything, I’m sure to be fifty, sixty or just here. Thankfully, there are many writers and bloggers who celebrate age. I’m afraid this post has turned into a bit of a rant but if you read my blog fairly regularly, you know my opinion of the stereotypical, chic French woman with which we are constantly being presented. 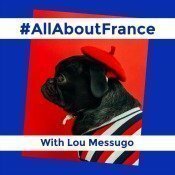 I am a Francophile and have some wonderful French women friends who do not all conform to the image with which we are so often presented. Thanks for reading and I’d love to know what you think. I hope you all had an enjoyable festive season. For me, it was wonderful to have all the family at home (plus two cats!) but I must admit that in some ways I’m looking forward to ‘normal’ life resuming. Although I know I will find the house very empty and quiet at first, I also need ‘my own space’ – apologies for over-used cliché! New Year Resolutions are not for me but I am embracing ‘Dry January’, except for the two family birthdays we celebrate in January. Is that allowed, I wonder? Who cares? I’m setting my own rules on this… Especially as tomorrow we are going to be celebrating the first birthday with a seven course tasting menu, at a Michelin star restaurant, plus accompanying wines chosen to compliment each course. I’m not sure if I can draw any significant conclusions from this result … but it was fun looking! When I looked back at my first post of last year, I remembered that I had made some plans for the blog. I said I would set up an Instagram account. I did manage this and I do enjoy it but – if I’m honest – I do prefer writing this blog. However, I failed to update my profile and photo. I have also moved my blog from a free WordPress one to a self-hosted one. And next? I’m going to try a new theme. Wish me luck and watch this space! Who pulled the plug out? These are the photos I took before returning to the UK earlier in December. Not particularly Christmassy but very surprising… to me. It’s a bit of a joke but I always like to check that the Canal du Midi is still at the end of our garden, particularly if we have been away. Imagine my surprise when I looked over the garden gate to see that most of the Canal water had disappeared! I know that the Canal is closed from about the first week in November until March, so that routine maintenance and cleaning can be carried out. This is the first time I’ve seen evidence of this happening. We decided to walk into Castelnaudary, along the tow path, to give us a clearer understanding of what happens to the Canal in winter. We were pleased to see that the ducks were unperturbed and actually seemed delighted by the delicacies they were finding on the Canal bed. We were less pleased to see a mud covered moped that had found its way into the Canal. We just missed seeing Castelnaudary illuminated for Christmas. I would have liked to catch a glimpse of all the boats, in the port, lit up – perhaps another time. I hope you all have a wonderful, happy, Christmas. At this time of year, a lot of people are thinking about food. Not necessarily quiche . But what makes the ideal quiche? Perhaps you make your own. Nowadays quiches are everywhere. They can be bought and prepared with every imaginable filling. I’ve even made a crustless quiche. Nevertheless, I am a quiche ‘purist’. I am talking about the original Quiche Lorraine. I spent a year in Metz, a city originally in the administrative region of Lorraine. (Can you see where I’m going with this?) Although quiche is considered a classic French recipe, it originated in Germany, in the medieval kingdom of Lothringen, under German rule, and which the French later renamed Lorraine. The word ‘quiche’ is from the German ‘Kuchen’, meaning cake. I’d love to know your position on quiche. Are you also a traditionalist and a lover of ‘quiche Lorraine’ or are you a fan of other fillings? I was having a look through my photos, especially those taken since we bought our house in France. I have quite a collection of photos of doors and door knockers. Why you might ask? I think it is probably because when I am here, I take more time to look at my surroundings and appreciate the smaller details. 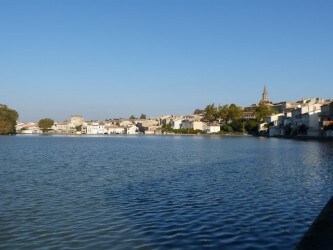 This is one of the first photos I took in Castelnaudary. We were staying in a rented house and getting to know the area. I was fascinated by this old house, the imposing front door and the amazing statues. This is the door to the local lock-keepers house, on the Canal du Midi. Another ancient and imposing door in the old town in Castelnaudary. Take a look at the door knocker! This door belongs to another old house in Castelnaudary. It stands alongside the Canal du Midi port. You may have noticed a similarity among the door knockers. The first one, in the photo below, was taken in Barcelona, the rest in France. They all represent ‘la main de Fatima’ or ‘Fatima’s hand’. Fatima was the daughter of the Prophet Mohammed. Door knockers shaped like her hand were believed to protect the inhabitants from the ‘Evil Eye’. Originally, they also indicated that someone of the Muslim faith lived in the house. The traditional design of the Fatima’s hand door knocker may have the added detail of a a ring, lace cuff or a bracelet. I really like them! With thanks to one of my favourite bloggers: francetaste who inspired this post!